Pet Ottoman by Pet Parade - Gives Your Pet A Spot Of His Own! Works as a padded foot rest for you, and a perfect hide-away for your furry friend! - SHIPS FREE! Kitten Cuddle Sack - Concealed inner material crackles for your kitten's wonderment and delight! Crazy Cat Lady or Crazy Cat Guy Mug with Cocoa - SHIPS FREE! 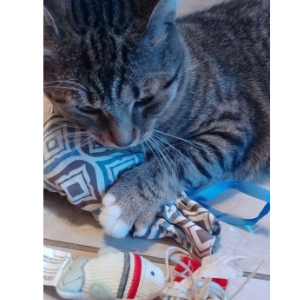 Mousezilla Catnip Supersized Cat Toy - Great toy for larger cats! Kathy Ireland Loved Ones Fish Wobble Catnip Cat Toy - SHIPS FREE! Our customers are howling & meowing for us! I think I like it more than the dogs, lol. This is THE best pet subscription that there is out there and it has a fair price. I love how they give you something too and I love the products you get to make or bake. My cat and I have been customers for a few months now and it's fantastic! My 1 and only issue (not on their end it was a USPS issue) was resolved within a day of contacting them and was handled perfectly. All the toys and treats are awesome! 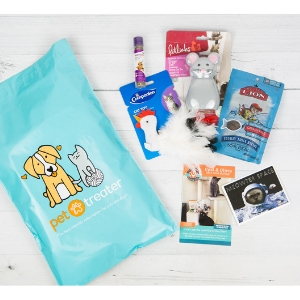 Pettreater offers monthly subscription products for dogs AND cats! 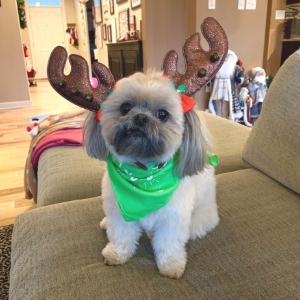 They deliver toys, treats & accessories directly to your house! It’s far cheaper than buying toys & treats yourself! We absolutely love the Pet Treater box! It comes loaded each month with a lot of great supplies. 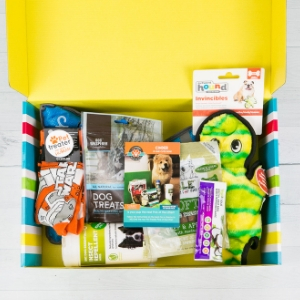 Our dog loves all the toys in the box and the treats are all-natural! I am always pleasantly surprised with how much stuff we get in the box each month! 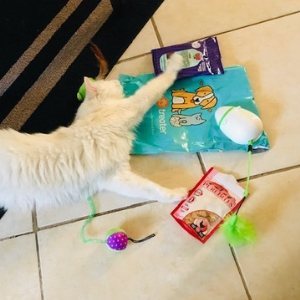 This was Aspen’s first time ever receiving goodies in the mail. He knew it was for him before I even did. I was pleased with the cost of the bag, given the items that we received! It had a variety of snacks and play toys. He loved everything! Fun toys in each box that my cats love! Each box has great, healthy treats they enjoy! Always prompt delivery! Definitely worth the low monthly fee! 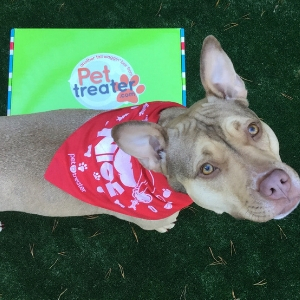 Come join the Pet Treater pack! Want your product in Pet Treater? We can't wait to hear from you! Please tell us about your product here. © Pet Treater. All rights reserved.